VMware support log size issue and workaround (VCSA ). In our environment we have around 12 VCSA 6.0 U2 ( vCenter Appliance) in different region with various sizes , most of our environment will be running with around 20-25 ESXi hosts in two or three clusters and 800 – 1300 VMs so whenever any issue on the environment it will be always challenging to upload the logs to the VMware support because the support log size will be more that 15 GB to 20 GB and at one point log generation will fail because of the log size partition and even after increasing the space of the log partition, it will be big challenge to upload it to the VMware FTP site . VMware support engineers have no clue about the reason for the huge bundle log size and have no other option to fix the log to upload it in their FTP site and in most cases we use to upload the specific date and log type only to the VMware for the troubleshooting. 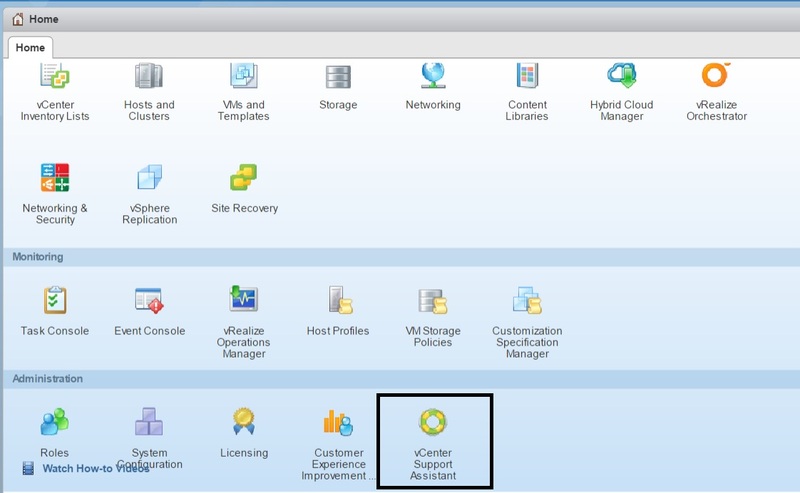 I was searching lot of blogs and slack channels but didnt help much but came to know the plugin called VMware support assistance tool which we can directly upload the logs from the Vcenter to the VMware portal so I decided to install the same. One drawback of this plugin is if the web-client session is time-out then it will interrupt the log upload and the process will be closed so we need to increase the web-client session time-out and it can be done by the help of KB 2040626 so we have increased the session time-out from the default 30 mins to 6 hours which helped us to successfully upload the logs to the VMware portal . But still it is the security concern on having the web-client session opened for 6 hours and also really want to find out the reason behind the bundle log size growth.After long wait and several conversation with VMware senior engineers , identified that under /storage/core all the old vpxd.core dump will be stored which is not required and we only required live_core.VPXD. * for the vcenter. As per the suggestion we have deleted all the old files form our lab VC and now the log bundle size reduced significantly . Note: Pls have proper backup or snapshot before deleting . 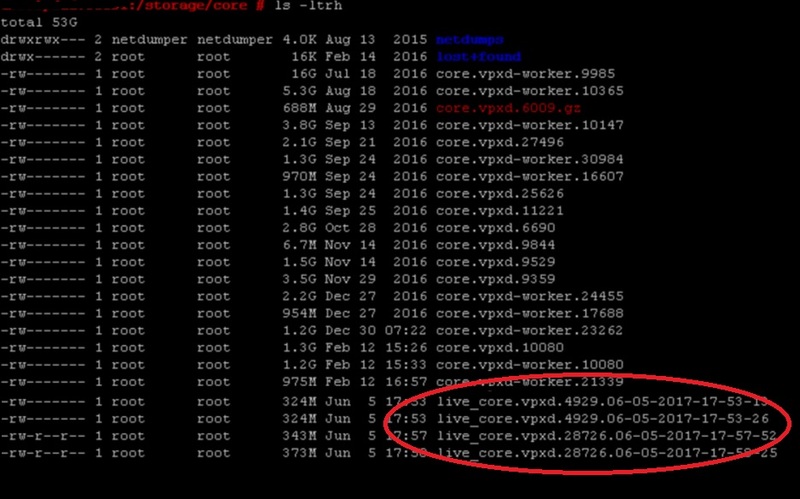 If you wrongly delete the live_core then it will crash the vCenter. This entry was posted in Vcenter Appliance, vCSA 6.0, VCSA6.5 and tagged VCSA, vCSA 6.0, vCSA Issues, VMware logs. Bookmark the permalink.